I am blown away! The new CV takes all my positives and re-words them fantastically – making me look more attractive to employers. Career change CVs are the hardest of all to write. And if you want the best results then they usually need to be very different to your original. Career change CVs take more time, effort and creativity than typical CVs. Fortunately, we have vast experience helping people like you make the transition into better careers. Most professional CV writing companies seem to forget this fact and just fill in the blanks of their template – giving you something similar to your previous CV. This is fair enough if you want to stay in your current job, but completely unsuitable if you are looking for a new change in career direction. If you want the best results then you need not just any CV, but the best possible career change CV. This is exactly what we have been giving your competitors for years. 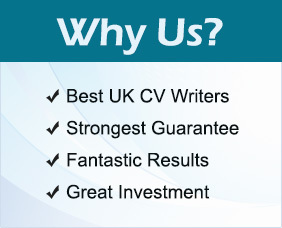 With CV Succeed.co.uk you can expect not a typical re-hash of your current CV, but a radical new CV that is meticulously rewritten and optimised for your new job target. Anything else is a false economy! If you are looking to do something different job-wise then you are not alone. Indeed, a great many people, literally many thousands every single day like you decide that enough is enough and a change is in order. When you apply for jobs as a career change candidate then one thing to consider is ‘different shades of change.’ What we mean by this is that some job transitions are partial, gradual or sideways moves rather than full on complete transformations from one job into something radically different. You should ask yourself where your situation sits in this respect, because depending upon your answer you need to tailor your CV differently. If you decide that you fit into the ‘partial change’ category then this usually means that whilst your CV will not need a complete transformation, at the very least it will probably need some significant restructuring as well as potentially fundamental transformation in certain areas. On the plus side, if you fit into this category then it is likely that you will have at least some experience in the new area, and we can draw on this when we come to create your newer, more fit for purpose CV. An example of a partial change would be a secretary who now wants to work as an executive personal assistant. It’s not quite the same job, and it usually involves other responsibilities (usually more responsibilities, but not necessarily so). At the same time, in such cases there are usually overlaps. In this case secretarial skills, office/administration experience and dealing with things such as documentation and correspondence. If the secretary in question applies for an executive PA job without amending his/her CV then it is unlikely that he/she will get the job, and especially considering that he/she will be up against other candidates who will inevitably be portraying themselves as a specialist executive PA. In cases like this, what we need to work towards (and ultimately do), is to build the case for the client so that his/her CV is not only far more appropriate for executive PA positions, but it also gives the employer a lot more bait in terms of choosing our client over and above his/her competitors. One of the ways we do this is by including more things that the employer is actually looking for, but in addition to this we also further substantiate the CV by including more pertinent and proactive achievements, as well as optimising the CV and adding key details/points that clients frequently overlook themselves. Complete transformations, on the other hand, are a whole different kettle of fish. If ‘partial change’ CVs are a challenge (which undoubtedly they are), then ‘complete transformation’ CVs are the most difficult of all to write. This is especially so since frequently the candidate has very little, or in some cases no relevant experience in the new job whatsoever. In such cases we need to draw from every possible resource, and in addition to restructuring and reworking the curriculum vitae completely, we also usually need to add numerous original suggestions of our own to make the new CV a lot more relevant, focused and fit for purpose. This does take more time, experience and creativity than typical CV writing, and you need to come at things from a different angle – which is one reason why it is very difficult for someone to write their own career change CV (usually they are just too close to the original, and it is harder for someone to see the bigger picture when they are writing their own CV – and especially when it is a layman writing his/her own curriculum vitae). At the same time, while complete career change transformations are naturally more difficult, they are no means impossible, and many people do transition into completely different jobs every year. Some sectors seem to have more than their fair of transitions than others, for example moving to/from the legal sector seems to be quite common, as is moving from/to IT – and we have a lot of experience helping IT and legal sector professionals move jobs. At the same time, we have been doing this for many years now, and so are never really surprised any more about the transition some people look to make in their career (and down the career ladder, as well as upwards). For example, in the past we have helped people move in a variety of ways, including from permanent jobs into new businesses/franchises/self-employment. Moreover, transformations range from events managers into divers, directors into secretaries, policemen into actors and much more besides. Whatever your career change goals one thing for sure is that your CV will need to be radically different to your current version, and you will need to overcome the disadvantage of competing against more experienced candidates. It’s by no means impossible, but there is more to it than meets the eye, and if you want to succeed then no one can help you quite like us.